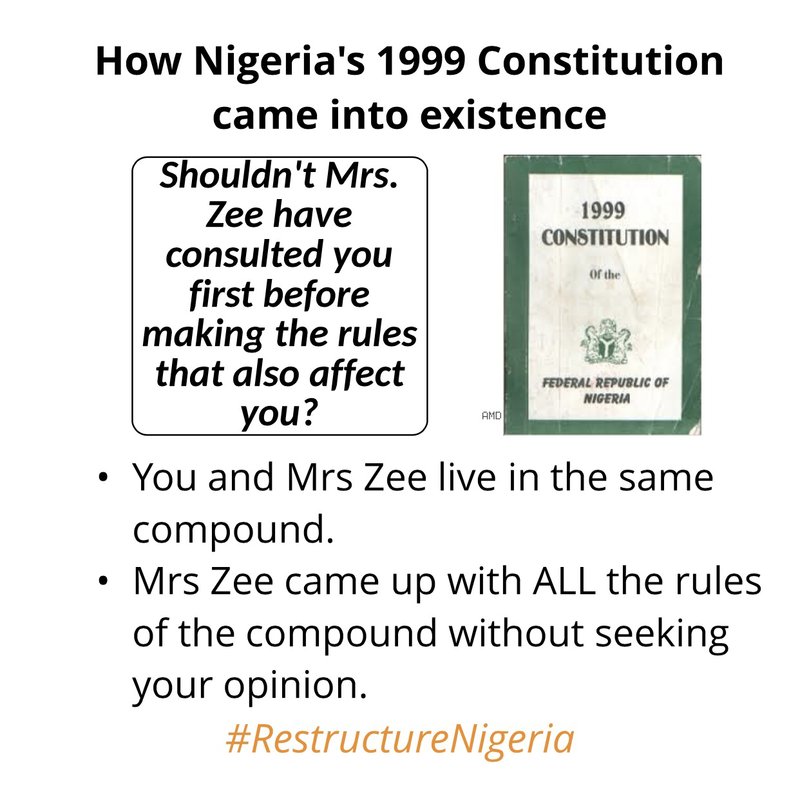 ANOTHER REASON TO GET RID OF NIGERIA’S 1999 CONSTITUTION? Even if you don’t support restructuring Nigeria, shouldn’t you be worried about a constitution that came into existence without your input (aka referendum)? If you and someone are going to live peacefully with each other, there should be an agreement on rules governing your living together. This agreement or referendum wasn’t there when the military imposed the 1999 Constitution. And to make matters worse, it was a very bad constitution.